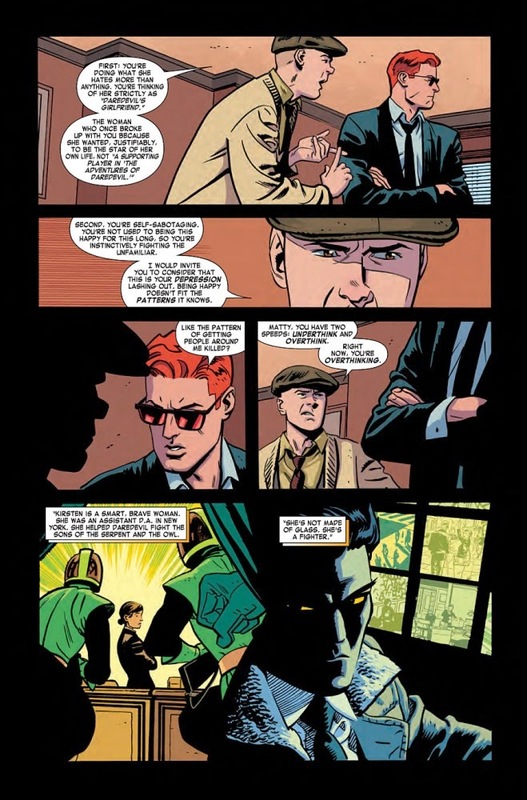 So if Daredevil is known as the man without fear, then what does that make Mark Waid and Chris Samnee? The men who create fear? The men who describe fear? Or what about, the men who exhume the living sh*t out of fear for those crazy cats over at Marvel Comics, in February, 2015? Wink-Wink! To QUOTE Marianne Williamson: 'Love is what we were born with, and fear is what we learned'. Now what normally happens every time Matt Murdock gets a new girlfriend? She normally dies, doesn't she? She either dies, gets locked up in a mental institution, gets stabbed to death by one of his old foes, or joins the Avengers. So, now that Matt has the beautiful Kirsten McDuffie by his side, can you guess what he'll think is going to happen to her? Yeah. That's correct. Matt presumes her life is going to be in grave danger because of their close association. And he airs his fearful views towards Foggy, roughly around the same time Kirsten's Dad says the same thing to his daughter, whilst they're both having coffee at their local coffee shop. ... something bad happens to her? Like a kidnapping perhaps! On the surface this comic book is about Matt feeling scared towards his relationship with Kirsten McDuffie. And let's face it. Who can blame him, eh? In the past Matt has had as much luck in the love department as Bruce Wayne has (i.e. not a lot). And so now, now he's with someone he really cares for, in a brand new town with a brand new attitude, what do you thinks going to happen to her? Something bad, right? Well, yes and no. Because as I said previously, on the surface this comic is about Matt feeling scared towards his relationship with Kirsten. Underneath that though, there's something else going on completely different. Something intriguing and captivating to follow, which I don't want to elude to, too much, or else I may spoil the surprise. Although what I can say is that there's a mastermind in place that will cause a lot of trouble for Matt in the future. A mastermind, I might add, that's being aided by a special guest star who appears in this very issue (No. I won't tell you who this person is). Also, something else I like to mention about this comic is how I loved those funny scene's where Kirsten said she pissed her pant's, the two plot twists at the end of this tale, as well as the way in which Foggy and Matt basically set-up the arc of this story. And why did I love these scenes? Well, simply put, they had charm, plenty of charm, that made me care for these characters plus the hair raising situations they were placed in. No. I have absolutely nothing against this adventure at all. As per usual Chris' artwork was as expressive as ever. Mark's story-line was full of all his customary Waid charms. And overall the complete package was out of this world. If you can look at this adventure from Matt's point of view -- you know, all googly-eyed and full of woe -- then I'm sure you'll agree with me when I say that the Michael Ball power ballad, 'Love Changes Everything', would be a pretty good musical match for it. Because of the skewed perspective this story-line had in spades, mainly in the way it showed one thing, where as in actual fact something else was going on behind the scenes, TWICE, and -- surprise-surprise -- I'd like to compare it to a curtain. Yeah. That's right. I said a curtain. 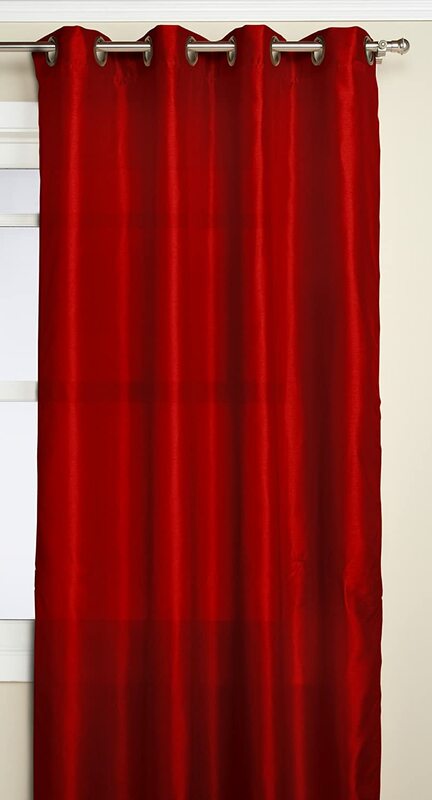 Preferably a fairly plush looking red curtain that you can hide behind, sneak through, and basically play about in till it's finally drawn, Hint-Hint! 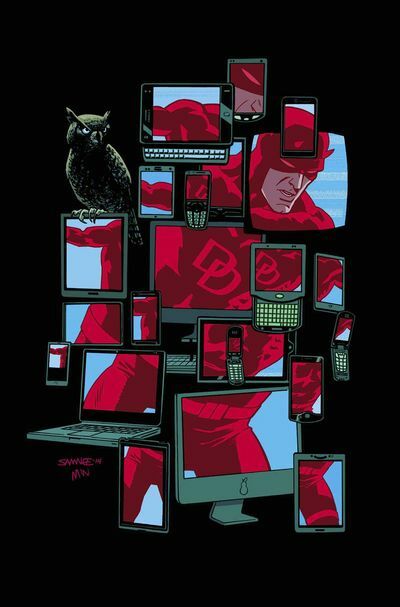 A couple of years ago Marvel announced that they were going to thrust Daredevil back into the media spotlight again. And so, just like the silly reviewer I normally am, I then made a rather hasty prediction, stating that Marvel were going to cancel this comic book series. Well. Let's face facts. Marvel are a business. And like all businesses they're always seeking new ways of re-establishing their pre-existing properties. So to me, with my dusty old business head on, I could clearly see that they were going to cancel this comic so they can do an Arrow on Daredevil. And they did cancel this book, didn't they? Thirteen months ago Marvel pulled the plug on this title and released it again with a new issue one. And do you know what? This new reincarnation hasn't been too bad! In many ways it's thematically the same thing as what came out before, yet now it has a brand new San Francisco edge I really do dig. But then, a couple of weeks ago, I read a news article on-line about how this new-new series was going to end this coming spring. And now, now after all this time together with Mark, Chris, and co, I feel sad, very-very sad. Mainly because my initial prediction has finally come true.